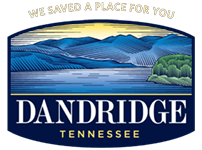 The Town of Dandridge is currently gathering community input for a Pedestrian and Bicycle Master Plan to connect the Field of Dreams and Maury Middle School to Downtown Dandridge. Below are options presented to the public for consideration. If you would like to comment on the Master Plan, please do so by clicking the link at the bottom of the page. Information is also available at the Field of Dreams Activity Center main lobby if you would like to see the boards that were at the public presentation.